The Illinois Senate has passed a bill legalizing the cultivation, sale and use of marijuana for medical reasons, a watershed development that puts the state on the cusp of joining the MMJ club. 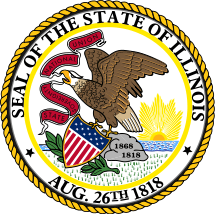 The fate of medical cannabis in Illinois now rests in the hands of Gov. Pat Quinn, who has not indicated whether he will sign the measure but previously said that he is “open-minded” on the issue. Promisingly, the state’s lieutenant governor recently came out in support of the bill, which could help tip the scales in favor of the bill for Quinn. If the governor signs off on the measure, Illinois would become the 20th state in the nation with medical marijuana laws, coming on the heels of Maryland’s move last month to approve a very strict and limited MMJ bill. Illinois would also become one of the most promising new medical cannabis markets in terms of business opportunities. The bill calls for a four-year pilot program that would allow as many as 60 dispensaries to open up across Illinois – nearly double the allowable number in Massachusetts, which recently passed a medical marijuana law and has attracted a ton of attention from entrepreneurs. The Illinois medical marijuana law also paves the way for up to 22 licensed cultivation centers to launch. Patients with one of several dozen qualifying medical conditions – including cancer, glaucoma, HIV/AIDs, multiple sclerosis and spinal cord injuries – could receive an MMJ card with the recommendation of their doctor. Once approved and registered with the program, they could buy up to 2.5 ounces of usable cannabis every 14 days. With a population of around 13 million, the state would likely have tens of thousands of registered patients – or possibly much more if additional medical conditions are added to the list. Under the bill, the state would essentially regulate and oversee the entire MMJ program. As part of these responsibilities, it would conduct a background check on patients, caregivers and those who apply for cultivation and dispensary licenses. The measure – House Bill 1 – cleared the Senate by a 35-21 margin, an impressive victory for a controversial issue. The House, which had previously snubbed out cannabis-related bills, passed the current version of the bill last month. Seems the first stage is to get as many states as possible committed as MMJ states and then finalize the legalization of hemp production in America. I don’t think this will be without strict guidelines for both industries. Too restrictive with NON medical exclusions, looks like time to join the MANY that have had to leave Illinois or stay with black market to avoid enhanced penalties,& don’t even dream about driving, that privilege is GONE, ZERO tolerance screws every driving patient,ridiculous. Good thing we’re bankrupting the country having troops in over 100 countries defending our freedoms huh? You can say that again Mr. Graham. I have already left that corrupt state months ago due to all the reasons you just listed. I was actually back in town recently just to be pulled over for no reason so they could breathalyze me to find that I wasn’t drunk. lol. How bout we pull people over after they appear to be driving recklessly but no that wouldn’t increase profits now would it? Needless to say I am glad to be out of that retched state and recommend others to do the same.